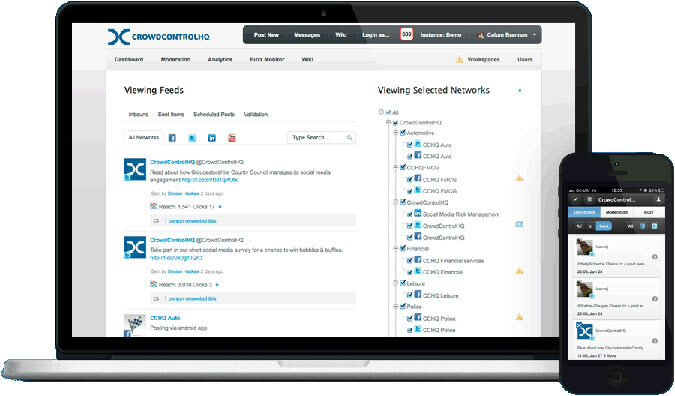 An exciting new development within the CrowdControlHQ social media management platform allows communications managers to put measures in place, which will alert them if banned words or phrases are used within a post or tweet, ie: ‘special offer’, ‘cheapest mortgage’ or even the mention of competitive products. The platform will also alert administrators to, and automatically delete posts, which contain offensive words or phrases. CrowdControlHQ already has incoming post moderation to protect Facebook pages from abusive and incompatible content and this new outgoing content moderation tool will add a new layer of protection and control. Marketing and customer services teams will also benefit greatly from having a tool that enables them to adhere to strict compliance regulations while allowing them to communicate and manage customer services across the social media networks.